Whether you need a kitchen for new home construction or it is just time to update your current one, we can help. Home improvement often starts in the kitchen! 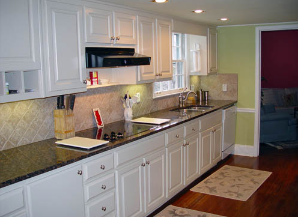 We provide the following services and strive to deliver your dream kitchen: kitchen cabinets, kitchen sinks, kitchen faucets, kitchen islands, kitchen countertops, kitchen remodeling, kitchen renovation & more. No job is too big or too small. Give us a call today to get a free quote on your dream kitchen! We love to create unique bath ideas and provide a realistic custom construction design. Whether it’s replacing, rearranging the flow of the bathroom, or adding on, we can assist with the best remodel plans for bathrooms. We love working outside the box, and creative projects are our specialty. So if you can dream it up, we can probably provide it. 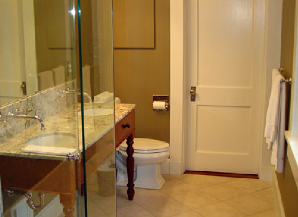 Contact us today for a free estimate on your new bathroom!